Respect for the dignity and integrity of people living with intellectual disabilities, as well as their social participation, is not just about values. Indeed, they have fundamental rights entrenched in the Charters and in different laws and policies. Here you will find the main disabled laws and legislation concerning the rights of people living with intellectual disabilities. The Charters are important because they enact the fundamental rights of people and provide a framework for the functioning of the state and its relations with citizens. The Canadian Charter applies only to the state, while the Quebec Charter applies to the Quebec government as well as to the citizens. The Canadian Charter of Rights and Freedoms is part of the Canadian Constitution and is intended to provide basic rules for the operation of Canada and its provinces. As a constitutional document, the Charter takes precedence over any other law, whether federal or provincial. It is, therefore, a document serving as a guide for life in society and for the action of the state vis-a-vis citizens. The GDPR is a recently introduced EU regulation that brought sweeping changes to the handling of personal data throughout Europe. Consisting of six data protection principles that all organisations collecting and processing personal data must comply with the GDPR has massive ramifications in virtually every commercial and public sector. Healthcare businesses are subject to GDPR principles, with strict guidelines now in place regarding their collecting, processing, storage, and sharing of an individual’s personal data. All healthcare organisations must comply with the newly implemented GDPR principles regarding healthcare data, including public authorities like the NHS trust and private healthcare providers. Since its legislation over twenty years ago, the Health Insurance Portability and Accountability Act (HIPAA) has received both positive and negative comments. The negative aspect has mostly involved the genuine danger of data breaches. Information that‘s readily available online shows that hacking makes up 23% of HIPAA data breaches. Hiring healthcare workers who will know when to release information and when to withhold data has also been a big challenge. The positive aspect is that you can keep your health insurance if you move from one employer to another and sharing of information between medical practitioners is easier. A large percentage of people agree that the positives outweigh the negatives. That is why the law was enacted and is now vigorously enforced. If you are in the healthcare business, you need to avoid fines that can run up to $1.5 million per violation in a year. Employee training will help your business a great deal in this regard. While the trajectory of the healthcare sector is uncertain, pending the upcoming legislative changes, 2019 is expected to be laden with mergers and acquisitions as many of the driving forces that make the American healthcare market attractive to buyers and investors remain today. As aging in place and hospice care are expected to expand at a rapid pace, more businesses, both American and foreign, are capitalizing on new markets through investing in or partnerships with specialized care providers. As America’s largest population reaches retirement age, investors are predicting the healthcare spend will increase. The predicted spending boom coupled with competitive interest rates has led more foreign investors to invest in the American healthcare system. Their intent to enter has led to an increased demand. Foreign entities are merging and acquiring companies to overcome one of the largest barriers of entry: insurance contracts. By merging with or acquiring businesses as a means to enter the market, foreign entities can build upon existing products and further research, develop, and launch their own medical equipment to address an influx of chronic diseases. The increased level of interest from local and foreign entities could mean the market should expect to see high valuations. A large number of women put off pregnancy to advance their careers. According to the data published by CDC in 2017, the birth rate among women aged 30 to 34 years surpassed that of women aged 25 to 29 years. Although the difference was not very much, this raised an important question of why women aren’t prioritizing childbirth. An article by Healthline quoted that women are getting their unfertilized eggs frozen, medically known as oocyte cryopreservation, to focus completely on work. However, there isn’t much evidence of the success of egg freezing for the long-term. In most cases, if you’ve suffered a serious brain injury, there might be someone else to blame for what happened. That said, it’s essential to consult a brain injury attorney to get a better understanding of your rights. Having been injured in an accident means you have to recover financial compensation for all the economic and non-economic damages. That’s because you need money to pay for all your medications as well as provide for your family during the recovery. If you’re looking after your health, here’s how a great brain injury attorney can help. 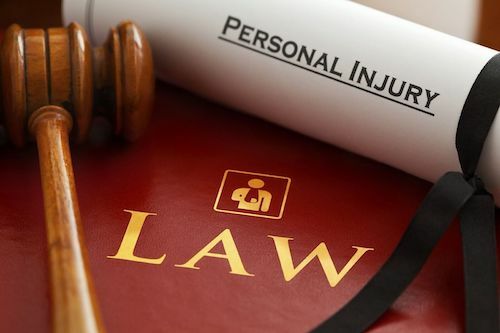 In most cases, it’s best to contact a personal injury lawyer as soon as possible after any type of accident or injury. It doesn’t matter whether it’s a minor slip and fall incident, be it on public or private property, or a single or multiple vehicle car accident. Regardless, the important thing is to consult with a lawyer as soon as you can. This ensures that you can learn about all of your options when it comes to recovering any sort of personal injury compensation. Although it’s always best to contact a lawyer as soon as possible, it often happens that injury victims put off contacting a personal lawyer. Most of the time, this delay is caused by the overwhelming circumstances related to the incident. However, many victims also put off contacting a lawyer because they believe that their insurance company will take care of everything.